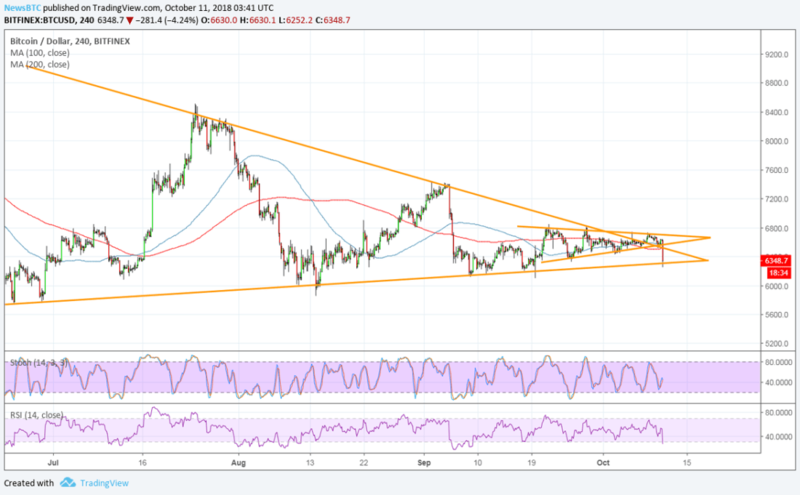 Bitcoin price broke below its short-term consolidation to drop to the longer-term triangle bottom. A downside break from this area could lead to a drop to the lows around $5,800 or a continuation of the slide. Bulls still seem to be defending this floor so another bounce could be due, perhaps leading to another breakout attempt. 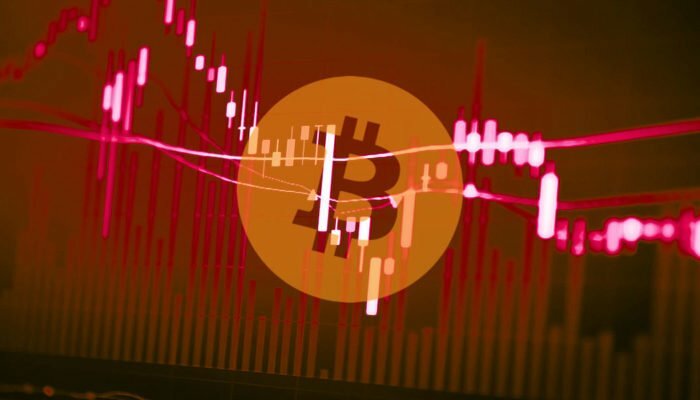 Bitcoin price tumbled below a short-term consolidation pattern but buyers are defending the floor to signal that a bounce is possible. The 100 SMA is still above the longer-term 200 SMA to indicate that the path of least resistance is to the upside. This suggests that support is more likely to hold than to break. Then again, it seems that the moving averages are simply oscillating to signal further sideways action. Price is below both dynamic inflection points, however, indicating that selling pressure is picking up. A break below the longer-term triangle bottom could spur a drop that’s around the same height as the chart pattern. A bounce, on the other hand, could lead to another test of resistance and possibly an upside breakout attempt. Stochastic is turning higher, after all, indicating that buyers are trying to regain the upper hand without even seeing oversold conditions. RSI is still pointing down to signal that sellers are in control but is nearing oversold territory. Turning higher could bring buyers back in. Risk aversion has gripped financial markets on account of stronger Fed tightening expectations. This could wind up dampening business and consumer spending down the line, therefore weighing on traders’ outlook and appetite for risk.